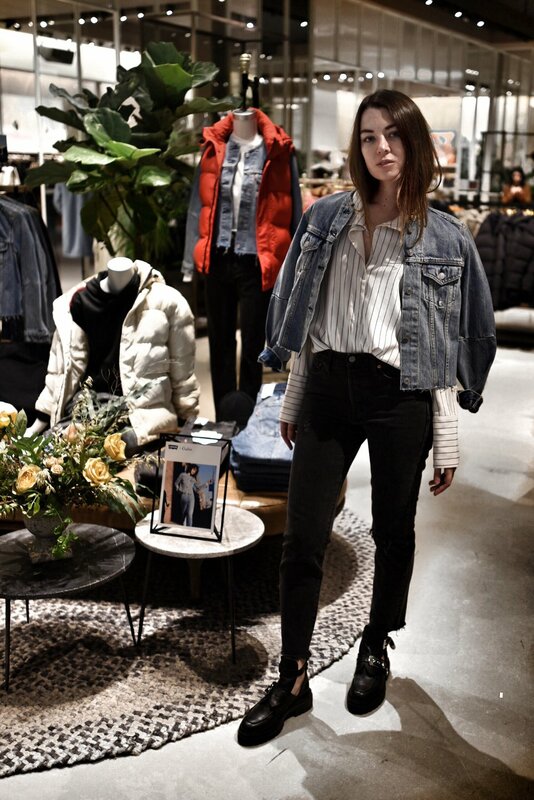 Aritzia Teamed Up with Levi's for a Denim Collection. And I was over at Yorkdale Shopping Centre at the Aritzia store to celebrate the launch of the new collaboration! Did you catch my takeover on Aritzia’s Instagram stories yesterday? With two styles and four exclusive washes of vintage inspired Levi's denim, I couldn't help but try them all on. Jeans are my go-to everyday. So I'm all about this collab. And today I took my favourite new jeans to the streets. I'm wearing the Wedgie style in ‘Forever Mine’. They are high waisted, and the perfect faded black wash. Obsessed! You can shop the collection online and in Aritzia stores!